Please join us for the second town-wide Dr. BOP gathering! The Design Concepts team will be here to tell you what they’ve heard in meetings with dozens of neighbors and community members. This workshop will offer you the opportunity to share your thoughts and participate in a hands-on, small group exercise. 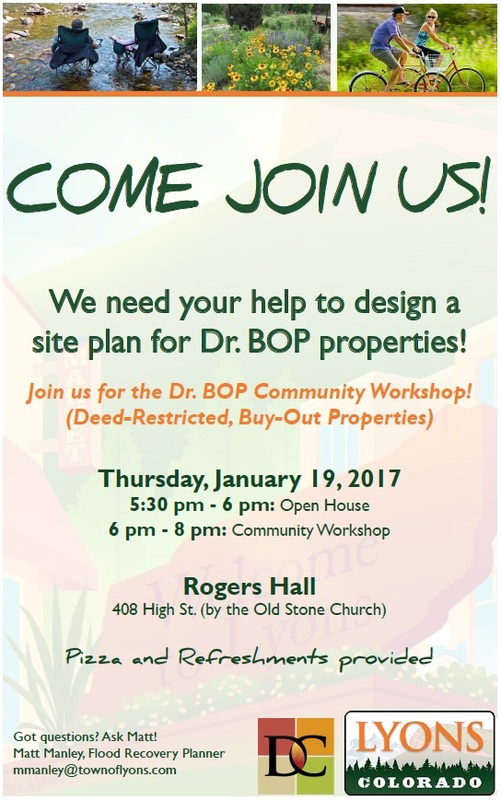 We need your help to design a site plan for the Dr. BOP properties! We’ll hear from all groups and work to identify common elements to carry forward. Pizza and refreshments will be served!